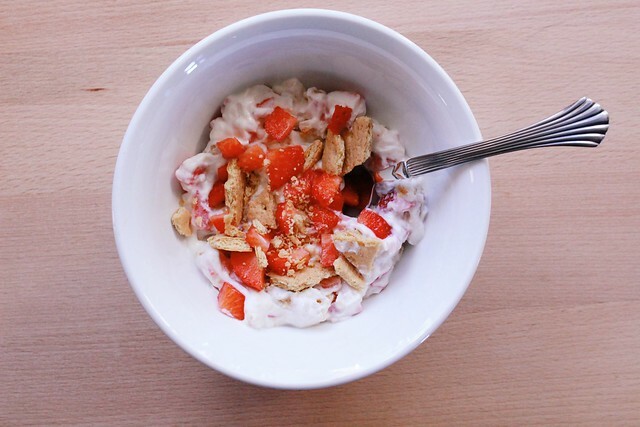 About a year ago, Emma from A Beautiful Mess posted Greek Yogurt: 4 Ways. 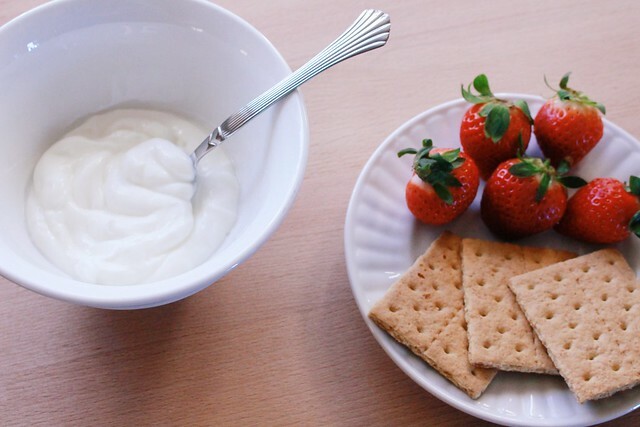 She shared recipes for banana bread Greek yogurt, chocolate pudding Greek yogurt, cookie dough Greek yogurt, and lemon meringue Greek yogurt. Emma suggested having them for breakfast or as light desserts. (!) I made all of the recipes she shared that same week. I first shared my thoughts here. In short, I am a huge fan. So, that post from Emma inspired this project. I plan to complete this project this year or shortly thereafter. Expect 1 new recipe a week. I came across the recipe on Pinterest, which happily didn't have a broken link (don't you hate it when you come across a broken link on Pinterest??). 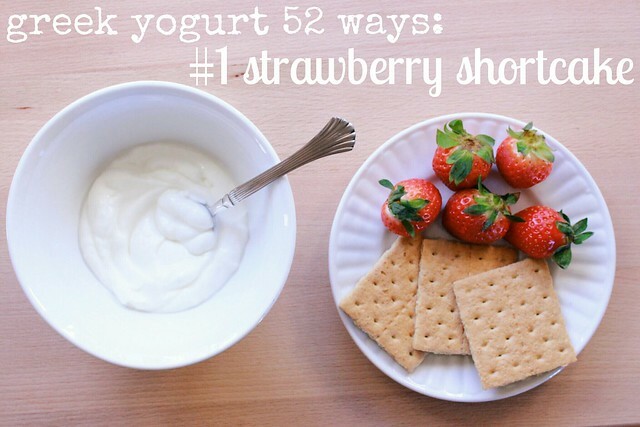 The link to the recipe is right here. I slightly modified the recipe. 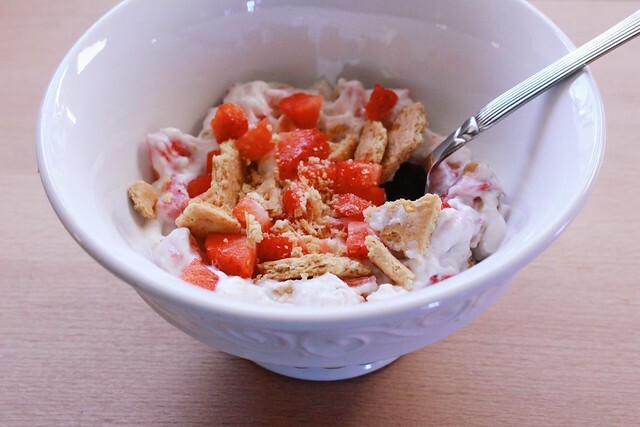 For this Greek yogurt dessert, combine 1/2 cup of vanilla, Greek yogurt; chopped strawberries (3 or 4 depending on how big they are and how much you like strawberries); and crushed Graham crackers (I used 3 squares). This is a creamy, decadent, and most importantly, satisfying dessert.